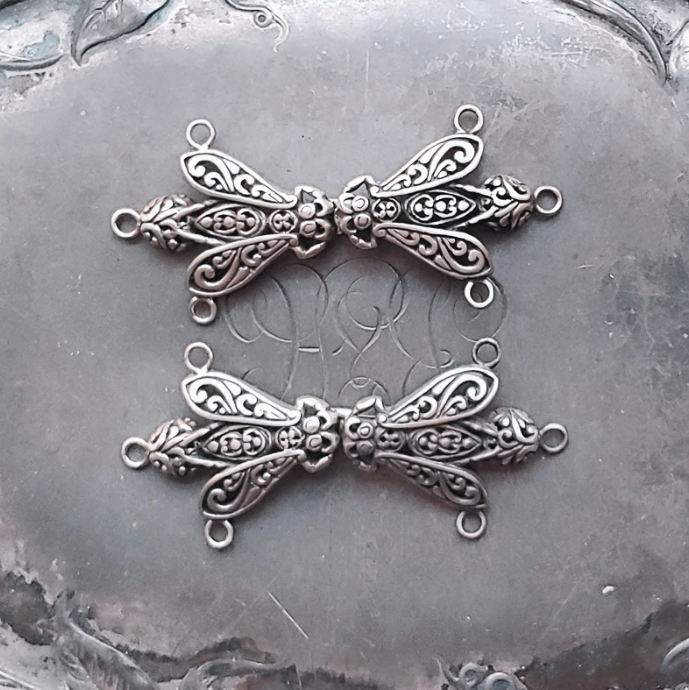 The Filigree Honeybee Clasp may be sewn onto garments and accessories or laced and tied on to knit- and crochet-wear using tiny ribbon. The holes for attachment are far enough back on the clasp that a flush connection is possible, giving your creations a beautifully finished and crisp look. These light-weight clasps may also be used for narrow belts, bag closures, and as a closure some jewelry items.